A gin company has created a limited edition bottle using rare and exotics plants grown at the Royal Botanic Garden Edinburgh (RBGE). Edinburgh Gin 1670 is named in honour of the year that the garden was founded almost 350 years ago and today welcomes nearly a million visitors a year. Head Distiller, David Wilkinson worked closely with botanist Greg Kenicer over more than 12 months to carefully craft the gin using 14 native and exotic plants. The ingredients include fennel and sweet cicely, alongside exotic plants such as Piper Leaf, Tasmannia Lanceolata Leaf and Tasmanian Mountain Pepper. Mr Wilkinson, said: “Having a world centre of excellence for botany on our doorstep made for a great natural partnership that enabled us to experiment with a range of handpicked botanicals to create an enticingly aromatic gin with lively herbaceous – almost floral – notes with added peppery spice. “At Edinburgh Gin we are constantly striving to create a range of classic gins with a modern twist. Dr Kenicer said: “This partnership allowed me to see first-hand the integrity and passion that goes into making Edinburgh Gin. 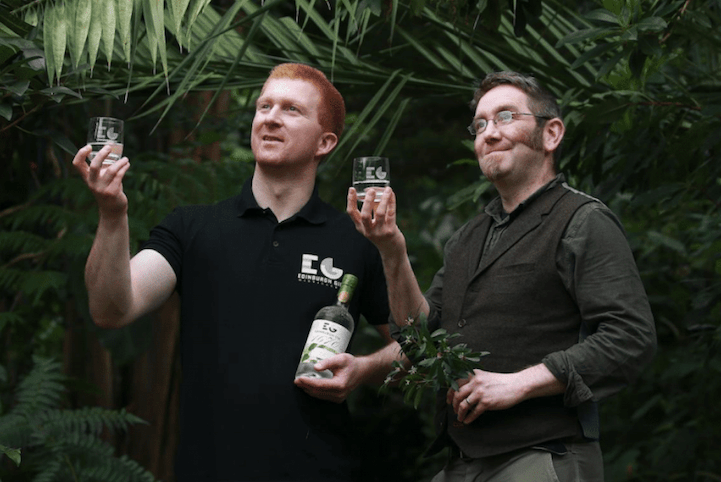 “This is a unique partnership and a first for the Botanics.